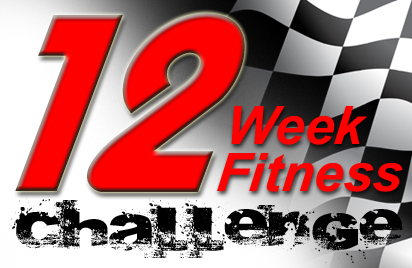 Welcome to Dave Gale’s 12 week Fitness Challenge! The aim of my racing project is to demonstrate that ’50-Somethings’ can still compete! As part of my preparation for a move into professional kart racing, I have to get myself back as close as I can to the level of fitness I had decades ago when I was a double grand prix motorcycle champion. At 54 years old, I know I have a mountain to climb before I’m close to being fit enough to commence a grueling racing test schedule. I’m used to training but I have to step it up and deliver a lot more stamina combined with top-end strength. I’ve always enjoyed cross-training, using different sporting activities to deliver specific results but this time I wanted to try something a little different. A unique blend of Les Mills choreographed BodyJam for my cardio, combined with weights in the Virgin Active gym. I still have a liking for the occasional game of football, basketball and a stint or two on a Nordictrack eliptical machine, so my schedule needs to stay flexible to keep things interesting. The one significant addition that I’m going to make to my training schedule for the next twelve weeks is the use of a range of protein supplements. As someone who has never used a training supplement, I want to see just how much difference modern sports nutrition can make in the next 12 weeks.